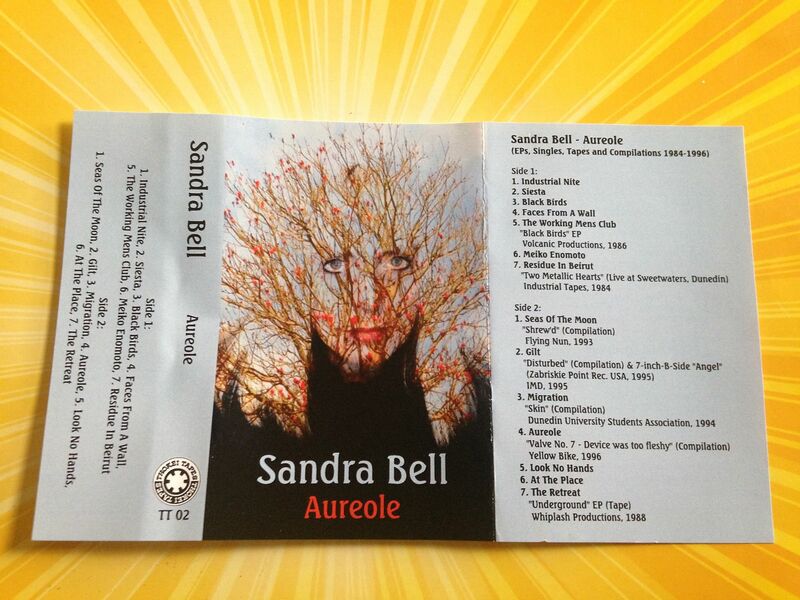 Right away it is worth noting that "Aureole" is a collection of songs by Sandra Bell which span from 1984 to 1996 and while some of you reading this might not have been alive for that time period I was and it was me from age 4 to 16 which just seems crazy to think about this music going on in the background somewhere without my knowing about it. I feel like there should be more cassettes like this, gathering songs from out of print releases and compilations and putting them together kind of like what Juniper Tree Songs did with Linda Smith. 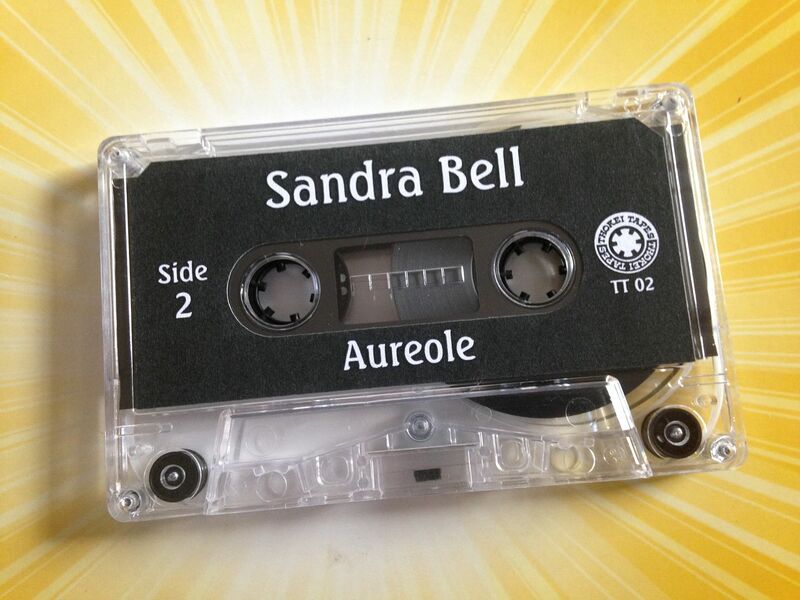 But we'll take this Sandra Bell cassette with a smile because it is a true piece of history. The amazing thing about these songs is that the latest of them would be from twenty years ago and yet they still hold up in that modern era sense where I could believe they were recorded and released within the last year. Ranging from sounds like Blondie and Fleetwood Mac, there is also a bit of K's Choice and The Doors within these songs as well. They can be trippy and they can be just flat out fuzzy rock like "Gilt". They hold that quality of being able to be thought of something you would have originally purchased on cassette but also combine with a modern feel in ways, which is something that I feel about a lot of music released on cassette and yet it just seems that much more special to repeat it here because even though this is being released in 2015 it is from before that but maybe not as early as some of the other influences I can pick out. 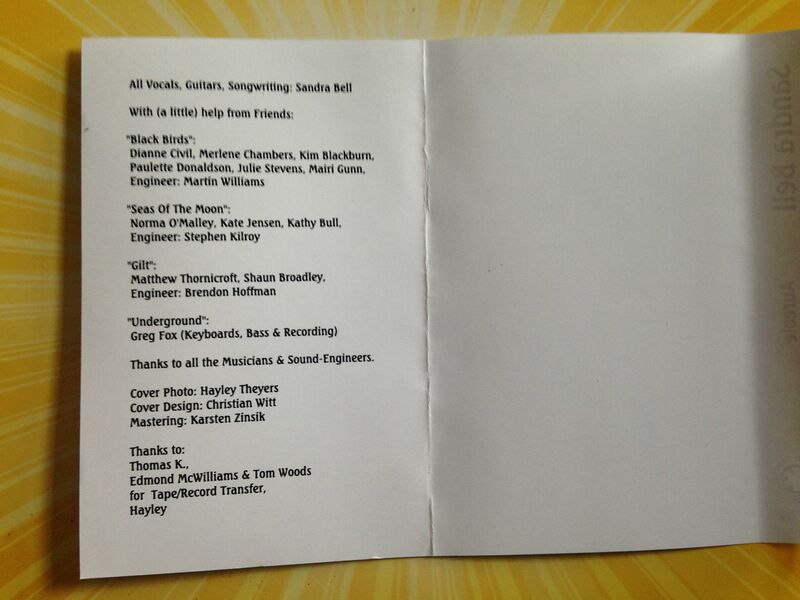 One of the other large factors within these songs are the lyrics. 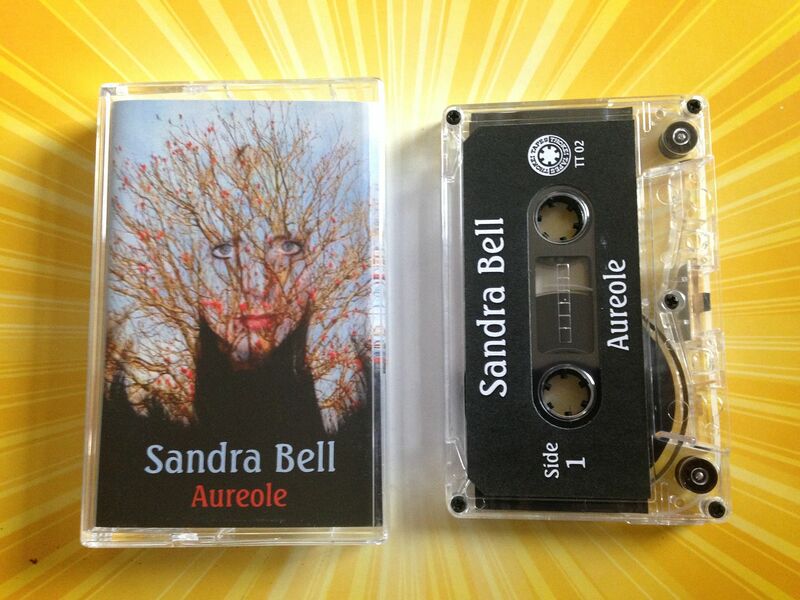 If you look at the Bandcamp page for this release or anywhere on the internet really for Sandra Bell it will tell you that she is a musician and a poet and I couldn't agree more. 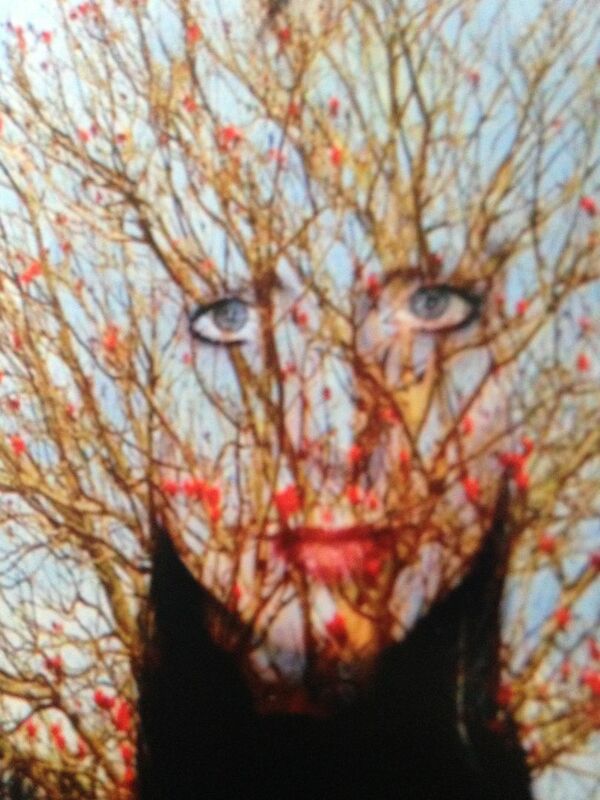 Sometimes the words are not sung but rather spoken and it makes me believe that after the 1950's but before right now there was a new group emerging to fill the void left by The Beats and Sandra Bell would be among them. 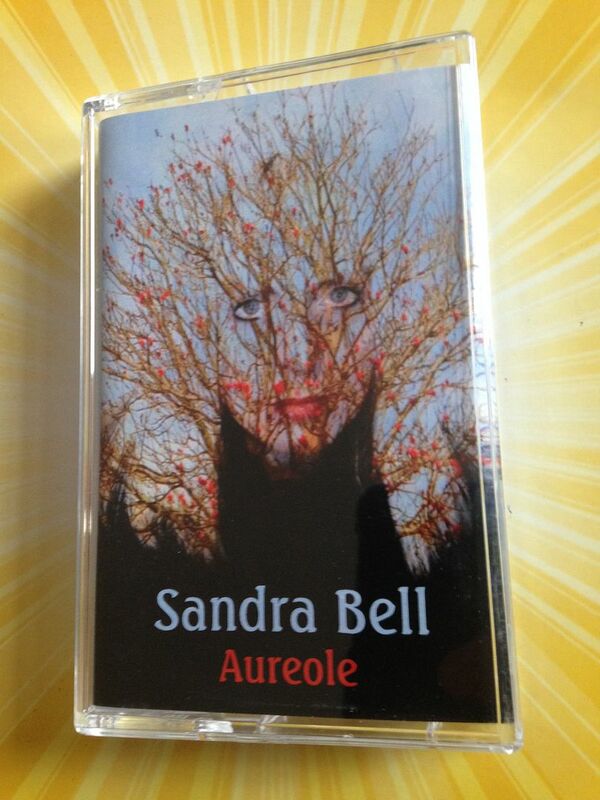 It actually makes me glad- for the poetry lover in me- that I have found this cassette and am being introduced to Sandra Bell (even though it seems to be so late) and for that I think you should give it at least one good listen through even if nothing else about this sounds appealing to you. When I listen to any sort of collection of songs by an artist that are considered to be an unofficial album (Usually it's a greatest hits type of scenario) I always pay close attention to the structure of the album on the whole. Were the songs positioned chronologically? Or were they just thrown together in some random order that seemed to make sense at the time but really had no logic behind it? I assume some sort of special care had to go into the handling of these songs if only because it is on cassette and so you have to even out both sides, but it also just doesn't feel like it was thrown together but rather the songs were placed so they could have that slow build and rock album quality overall that so many albums these days just seem to lack. If you presented this to me as a cassette recorded within the past year I would consider it to be among the best releases of 2015. The fact that it was put together like patchwork and exists for so many years before just leaves me all that more amazed.